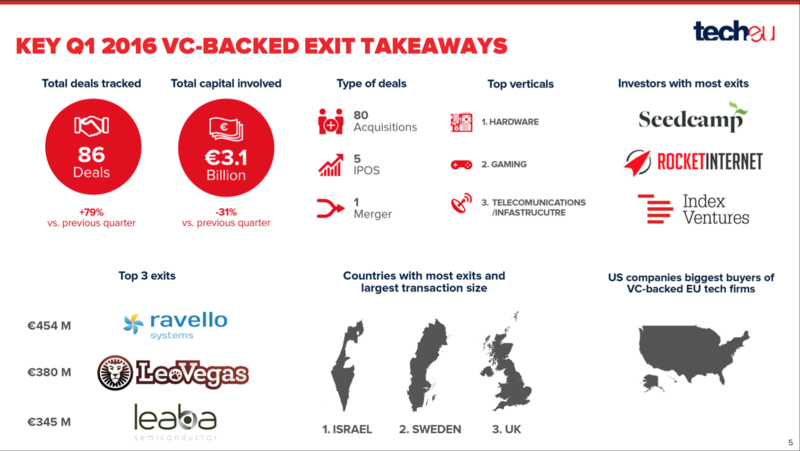 At Tech.eu, we’ve been meticulously tracking all M&A and IPO activity involving European, Israeli and Turkish tech companies. 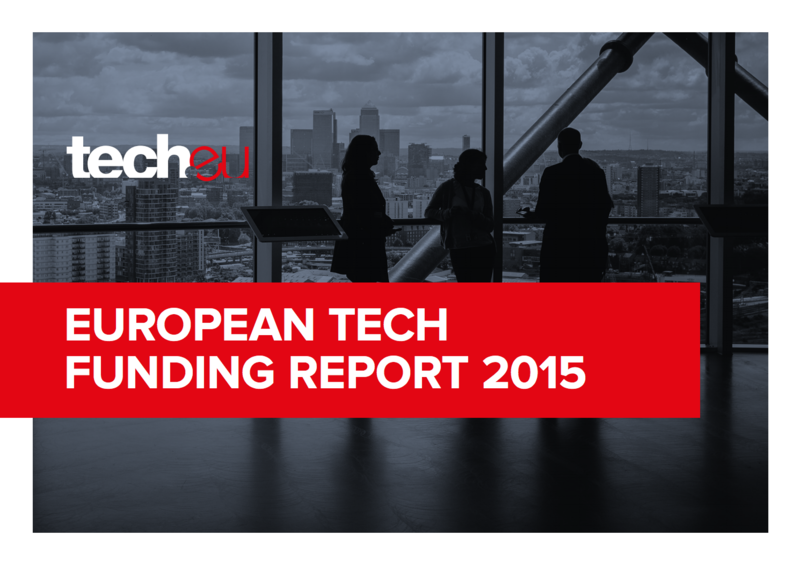 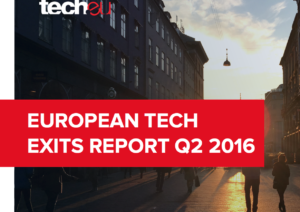 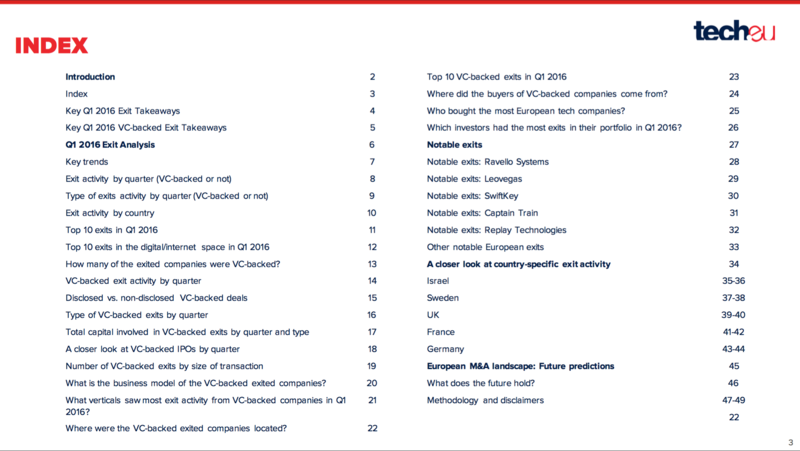 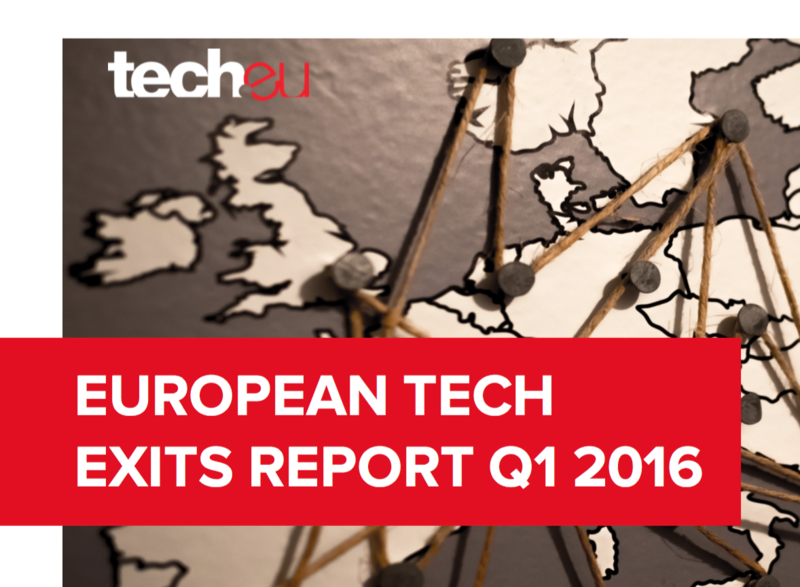 In this report, we take an in-depth look at the state of European tech exits in the region for the first quarter of 2016. 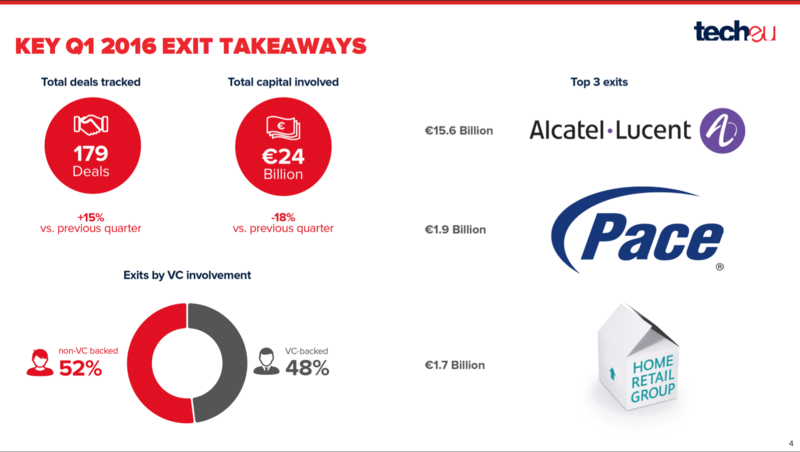 In the first three months of 2016, we tracked 179 exits worth a total of €24 billion, of which 86 deals and €3.1 billion in value can be attributed to venture-backed companies. 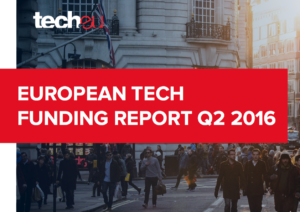 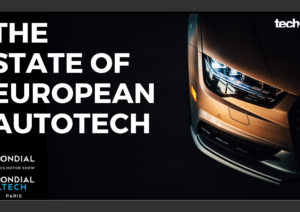 Whilst most tech publications in the US and Europe have claimed that there were no tech IPOs in the first three months of 2016, at Tech.eu we’ve tracked five, the best start to a year since 2014.